The McDonalds Open was an international basketball cup that was held more or less every year between ’87 and ’99, pitting three Euro champion teams against one NBA team. The whole thing was a farce, and the NBA team won easily every year. Except in 1990, the Knicks were invited to play, and they almost blew it. In the very first round New York barely managed to get past to the Italian team, and needed overtime to pull out the 119-115 win. The tournament’s final game was against Split, which was what they called Croatia before the wall fell, I guess. 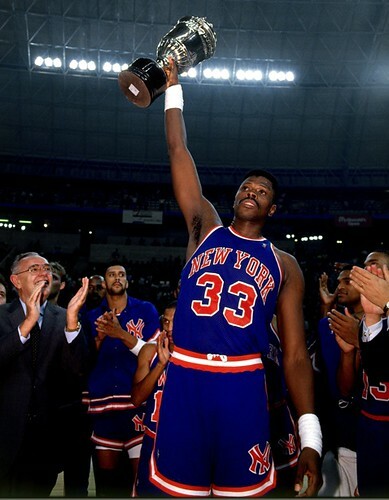 The Knicks took the chip, but along the way Toni Kukoc stuffed a Patrick Ewing jump-shot right back into his face, a clip that was given such heavy Soviet Bloc rotation that it’s credited with increasing Yugoslavian production rates by 3%. does anyone know where i can find a pair of these throwback knicks shorts?? ?